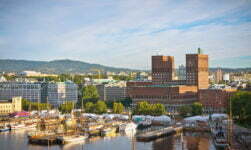 A leafy neighbourhood to the west of Oslo city centre that's popular with expats. 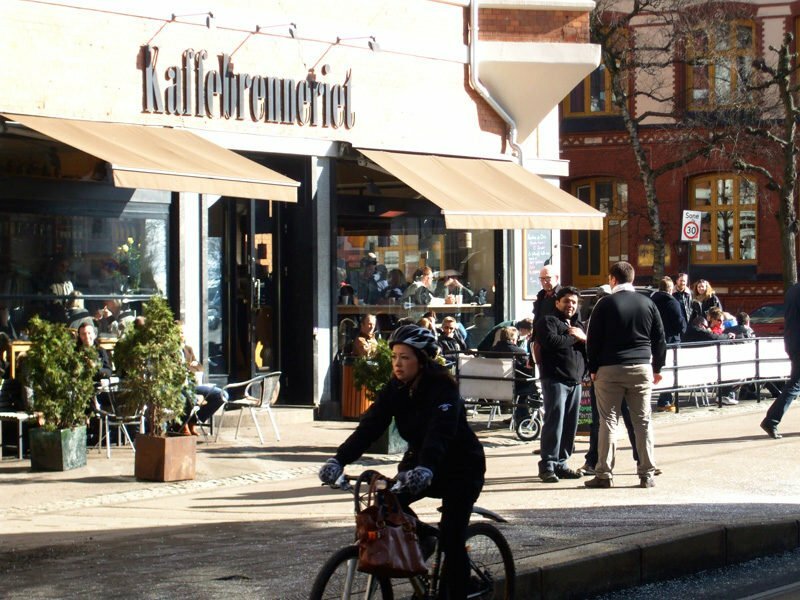 Best known for its high-end shopping, swish restaurants, and luxury apartment blocks, Frogner is one of the most desirable areas to live in Oslo for foreigners. And Norwegians too, for that matter! 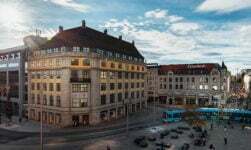 The area is well-connected to the city centre by tram and bus for the rainy days, but when the sun shines it's a pleasant walk or cycle ride via Solli plass. 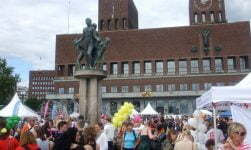 The borough of Frogner includes the area known as Frogner but also much of the rest of western Oslo such as Bygdøy, Uranienborg and Majorstuen. The streets Bygdøy allé and Frognerveien are considered the heart of Frogner itself by most locals. On Frognerveien in particular, you'll find exclusive stores selling the very latest in furniture and interiors side-by-side with antique shops, cafes and restaurants. 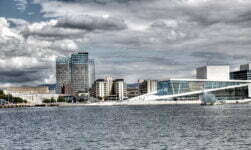 The neighbourhood is also the preferred choice of diplomats, with Embassies of many countries located here rather in the city centre. The British Embassy is tucked away on a leafy side street, as are the Embassies of Finland, India and Indonesia. Among the other countries with representation in Frogner are Russia, France, Sweden and Egypt. 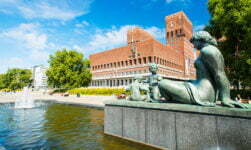 The borough is named after the old Frogner Manor, located in the corner of Frogner Park. 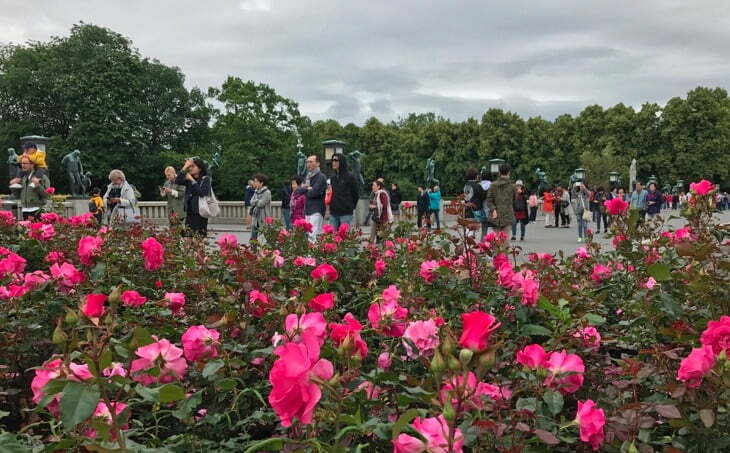 The largest green space in urban Oslo is best known for the Vigeland Sculpture Park, but locals know it as a great place to picnic, exercise, or walk their dogs. The park is home to a huge collection of roses, a couple of museums, an outdoor swimming pool, and plenty of open space in which to relax. Frogner is home to some of the best-known restaurants in Oslo, many with a strong international influence. Urban Eatery at Solli Place serve up a modern twist on Thai street food, while El Camino sell tacos that wouldn't be out of place in Mexico. You'll find no Norwegian tacos here! Currently ranked #1 on TripAdvisor (at the time of writing) for the whole of Oslo, hos Thea is a small, cosy restaurant with friendly staff and a super popular chef's menu. 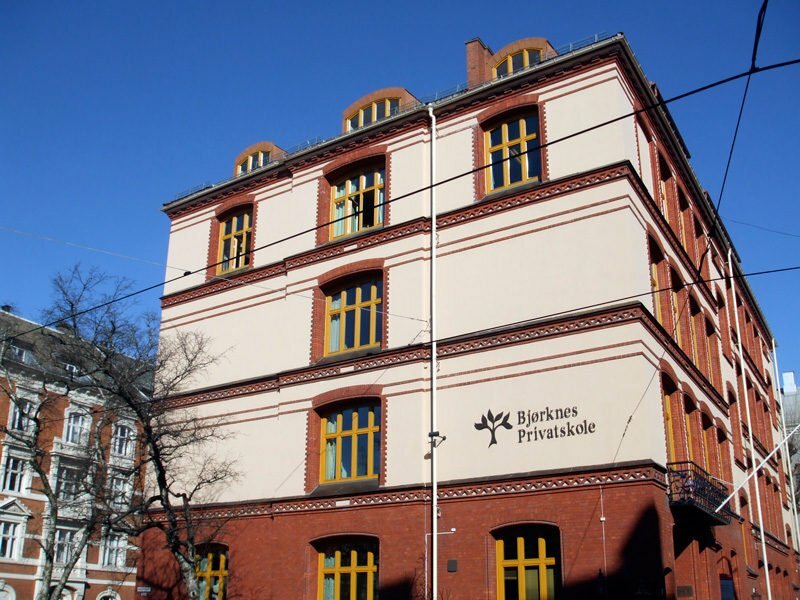 It's located on Gabels gate, close to Drammensveien at the very south of Frogner. Reopening in September 2017, Kolonihagen was the first all-organic restaurant in the city and we are excited to see what the new concept brings. 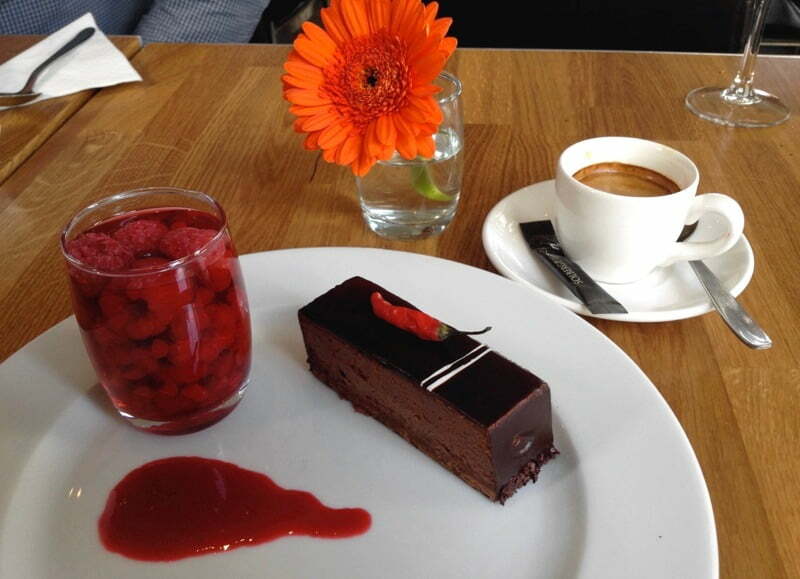 Last but not least, pick up French-inspired desserts, tarts and macarons from Pascal on Bygdøy allé. Frogner Park is home to Frognerbadet, an outdoor swimming pool that's swarming with locals whenever the sun threatens to shine! The public baths opened in 1956. Also located nearby are the courts of Oslo Tennis Club. Plans are underway for a modernisation of their facilities, with new indoor and outdoor courts. 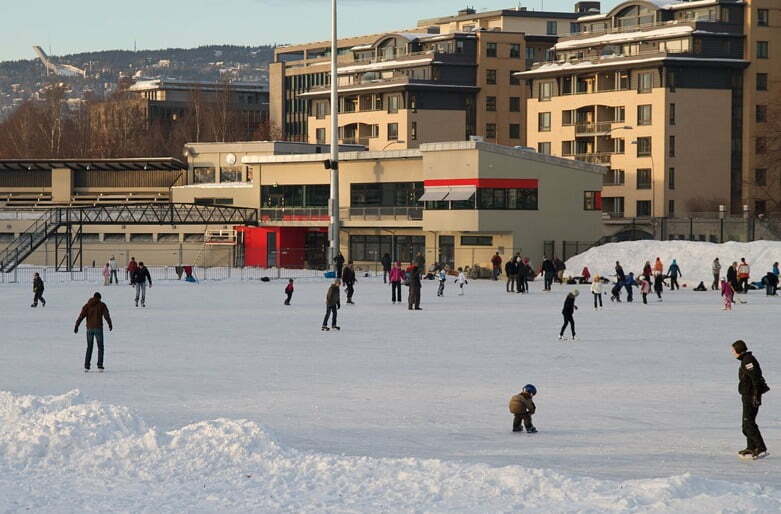 Between Frogner Park and Majorstuen is Frogner Stadion, which hosts bandy and football games of the local sports club Frigg Oslo. Living in Frogner is an expensive choice, but it provides a lifestyle that many expats will be familiar with.